If you are looking for a Las Vegas Air Conditioning contractor, you can count on Indoor Comfort Services Inc. We have served the area since 2001 with expert workmanship and exceptional customer service. When you need help with your Las Vegas air conditioner or heating system, you need help fast. We offer 24/7 emergency air conditioning and heating repairs so you can get comfortable again quickly. If you need new installations, replacements, or indoor air quality solutions, we can help you. Whether you have an electrical, heat pump, boiler, or a gas or oil burning furnace in your Las Vegas area home, you'll need a heating repair contractor who can work on all systems. With gas or oil, you'll need a technician who can test for leaks, help you prepare it for the cold season, and make any repairs needed. 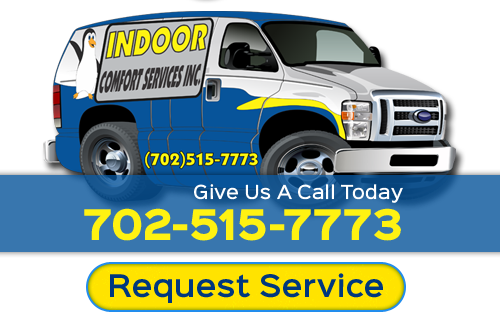 Indoor Comfort Services is the name to remember for Las Vegas heating repairs. We are available every day of the week, 24/7 to serve you. Our Nate Certified technicians offer the finest service at competitive rates. We keep your budget in mind and offer expert solutions to ensure you are comfortable again quickly. Whether it's repairing your heater, replacement, or a tune up, we're ready to help! Our Las Vegas air conditioning repair technicians are only a phone call away and are available 24/7 every day of the week. Keep our number handy for those surprise times when your AC breaks down unexpectedly. Whether it's an emergency or scheduled service, you'll find us to be on time and fully equipped with what we need to make the repairs. 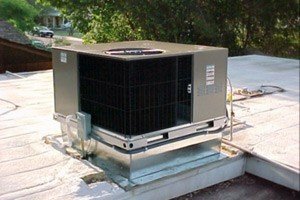 We can work on any make or model of air conditioning equipment you have and offer quality, affordable replacements when it's time. At Indoor Comfort Services Inc, you'll always be treated with honesty and respect. You won't find us advising you it's time to replace if continuing repairs is feasible. We'll fix your Las Vegas Air Conditioner right the first time, so keep our number handy! 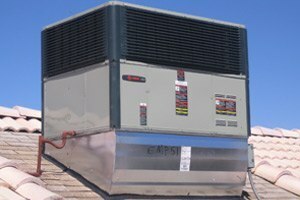 Why Choose Us For Your Las Vegas HVAC Needs? Since 2001, our experts at Indoor Comfort Services have been dedicated to superior service and quality work in the Las Vegas and surrounding areas. Our highly skilled air conditioning, heating, and indoor air quality contractors offer great service at affordable rates. Our Nate Certified technicians are fully equipped with the latest tools and will arrive in stocked trucks to minimize the need to wait for parts. For replacements or new installations, we provide a wide variety of heating and cooling systems from brands we know and trust, such as: Amana, American Standard, Carrier, Coleman, Day & Night, Goodman, Honeywell, Lennox, Rheem, Ruud, Trane, York, and more. For the best Las Vegas Air Conditioning & Heating Contractors, please call 702-515-7773 or complete our online request form.